Having something nice to cover up the windows in your home can add a touch of elegance, style, or design flare to almost any room in your home. The beautiful thing about custom roman shades is that they are a functional, yet sophisticated alternative between the posh character of drapes and the ordinary utility of blinds. Not only do they provide excellent sun and privacy protection, they just look great in general! Though there are many types of roman shades out there, they can most generally be characterized as panels of fabric that have the ability to be raised and lowered using a cord. With the wide array of roman shades on the market, the biggest issue for consumers is deciding which types work best for their homes. Before we get into anything else, let’s take a closer look at some roman shade styles. What custom roman shades are there to choose from? These types of Roman Shades give off the vibe that they have more volume because of the way that they are sewn. We’d like to think that they are a bit more striking than other types of Roman shades. We love how the folds are consistent across and cascade beautifully over each other. In terms of measurement, the folds are about 5 inches apart from one another. Out of all the roman shade designs, we would have to say that these are certainly the most soothing or tranquil in terms of their design and style. Cascade Roman shades are very simple in their design and are not overly ornate like some other types of Roman shades. That being said, they still very much maintain the same hints of elegance that draws people to Roman shades in the first place. From the contemporary home to the classic décor, Cascade Roman shades match everything without bother. As with flat Roman shades, these also look incredibly nice when coupled with a nice set of drapes. 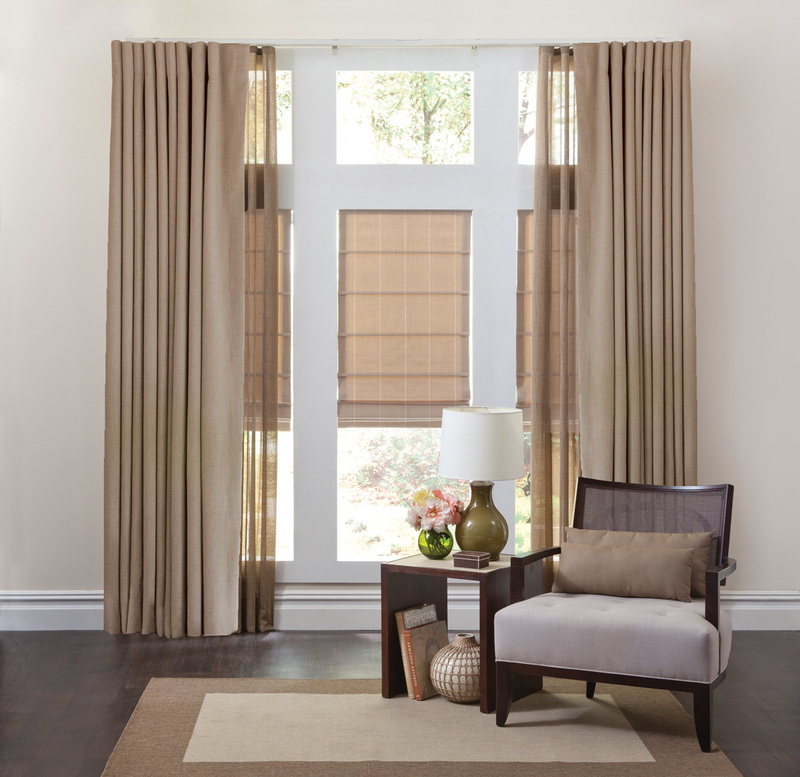 The horizontal rods that are spaced evenly apart, typically anywhere from 6-8 inches and placed along the entirety of the fabric’s surface area characterize cascade Roman shades. When compared to unconstructed Roman shades, these are certainly more durable. Though the name might suggest that these types of Roman shades come straight from the circus, Balloon Romans are anything but silly. If you live in a home with modern décor, however, these probably aren’t the shades you’ll want to look at. Balloon Romans are great for homes that have more of a traditional or regal look. The reason is that they are outside mounted and really stick out, giving off the air of royalty. Balloon Romans are made with inverted box pleats at the top and drape down into round, ornamental bottom. Butterfly Roman Shades are essentially Flat Roman Shades with small winged folds at each side near the bottom. This gives off the effect of butterfly wings. The way that it is done is by having excess length near the bottom that is folded and fastened, creating what we call ”swag” on the lowest hem. When compared to Flat Romans, these definitely have more of a regal style to them and are best paired with traditional-style home furnishings or decor of the like. These can also go great in a little girl’s room! If you really want to go full royal and live like a king or queen, Austrian Roman shades are easily the most ceremonial Roman shades that are out there. The fabric is gathered or ruched throughout the surface are of the shade, both vertically and horizontally. It then drops toward the bottom in a gorgeous, rounded end. These types of Roman shades have almost twice the amount of fabric when compared to most other Roman Shades, especially Flat Romans, and are typically the most expensive of the bunch because of it. Pick yourself up a pair of golden Austrian Romans, sit back, and sip some fine champagne. You are the ruler of your domain! Faux Romans aren’t necessarily Roman shades, though they give off the impression that they are. The difference is that they are made to be static shades and don’t entirely cover the window. They are also, by far, the least expensive of the bunch, as you aren’t paying for the same amount of product or any types of opening / closing apparatus. 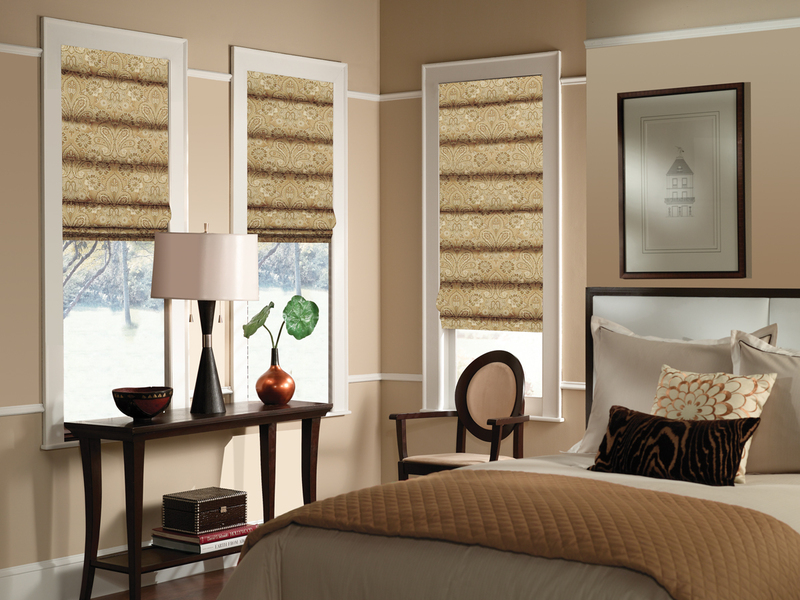 Faux Roman shades can come in tons of different styles and are solely for decoration. Relaxed Roman shades, sometimes referred to as “London” shades, are a bit different in shape than flat romans shades in that the bottoms slightly bow in when the shades are pulled up. They really live by their name. 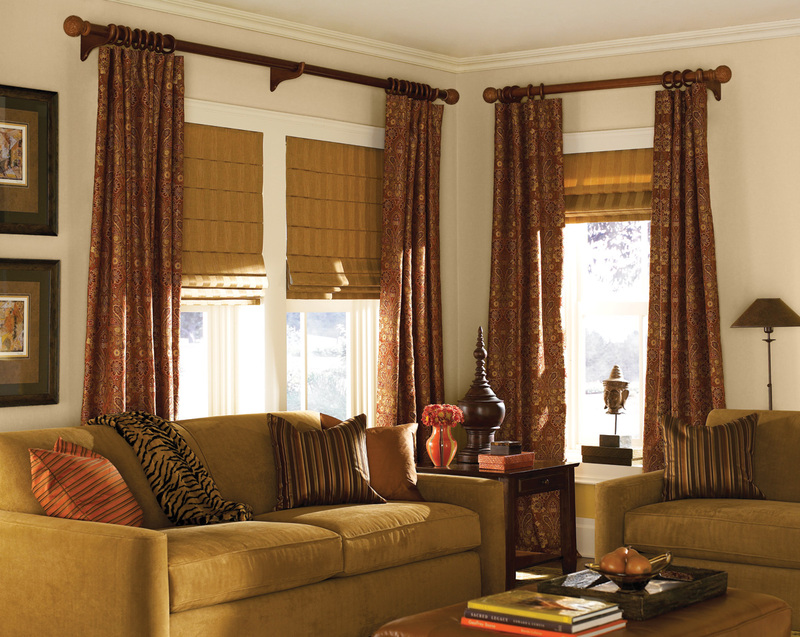 If your home has cozier or more traditional look to it, these casual-style Roman shades will work really well. If you have windows that are less than 55 inches in width, these types of Roman Shades are great! They also provide a more traditional feel when compared to the modern style of Flat Romans. In all, we love flat roman shades mostly because of their simplicity. Though flat Roman shades can be classified as many different things, we are talking about those that are unconstructed. Constructed Flat Roman shades are different from unconstructed Flat Roman shades in that they have horizontal seams. This mostly has to do with the strength and durability of the constructed Flat Roman. These types of Roman Shades are great for homes with a more modern or contemporary look to them. They are especially useful if you want to couple them with a set of drapes, as they won’t end up getting in the way.